With X-Men: Days of Future Past only a couple weeks away (so excited! 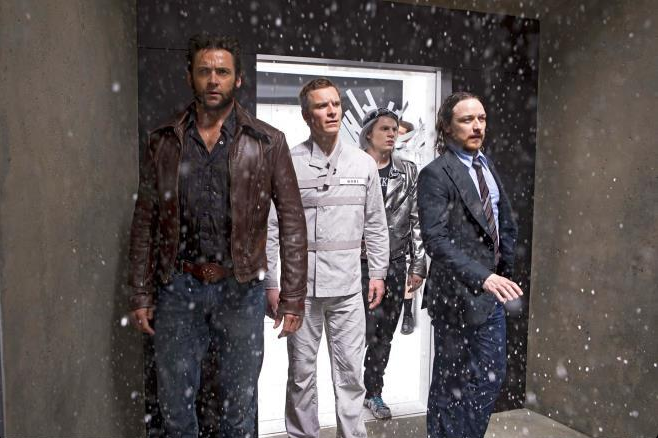 ), the X-Men franchise is showing no signs of slowing down. X-Men: Apocalypse is set for May 27, 2016, and the third Wolverine movie hits theaters on March 3, 2017. That’s a pretty tight window, but we assumed that it wouldn’t be too much of a crunch since the two productions could function independently and could even run concurrently. We previously reported that Apocalypse would focus more on the First Class crew, and James McAvoy, Michael Fassbender, Jennifer Lawrence, and Nicholas Hoult were the only actors confirmed to return. Except now it looks like Hugh Jackman will be in Apocalypse as well, and the plan is to film back-to-back with Wolverine 3. Hit the jump for more. During the recent press day for X-Men: Days of Future Past, Steve spoke with Jackman as well as producers Lauren Shuler Donner and Hutch Parker. Steve was working under the assumption that Jackman would return for Apocalypse, and neither party did anything to contradict that notion. If anything, they acted as if it were common knowledge as well. HUGH JACKMAN: I did Prisoners in between. JACKMAN: Pretty close. It was about four months in between. Is that something you’d want to do in the future, let’s say for X-Men: Apocalypse and another Wolverine sequel? Or is that something where you think that’s too much? JACKMAN: No, in a weird way that has crossed my mind if that’s the way things play out, because physically, even though I was complaining about it because I found out about [X-Men: Days of Future Past] a month before I finished The Wolverine, so I was already planning on my cheat meals. It’s much easier because it’s tough to get there, physically, but once you’re there, it’s easier to maintain it. So while Jackman didn’t specifically confirm that Wolverine was in Apocalypse, he seemed at ease with the idea of doing that movie back-to-back with the third Wolverine. 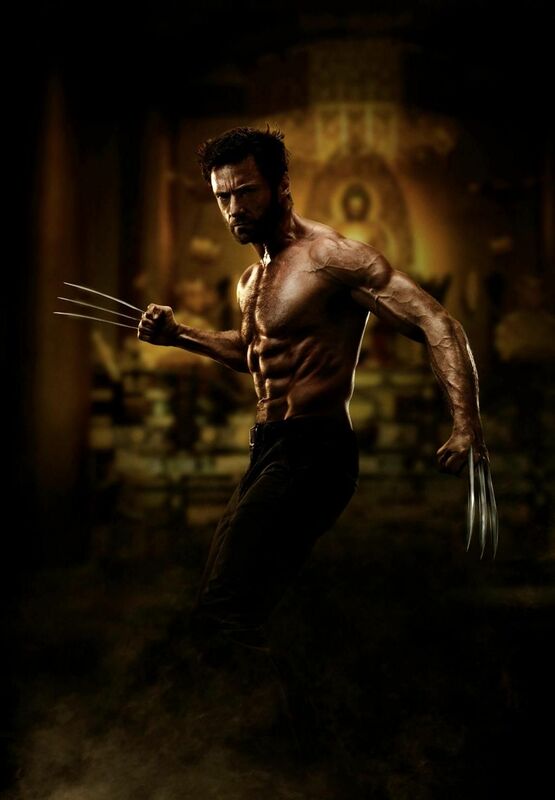 It seemed what [Jackman] was saying to me was that in an ideal world, X-Men: Apocalypse and another Wolverine solo movie would be, in an ideal world, filmed very close together to keep his physique. So are you guys planning to film them that way? DONNER: We’re absolutely trying, yes. Is there any target for when you’re going to film Apocalypse or the next Wolverine? DONNER: Well, we announced Apocalypse to come out in 2016, so that means we have to shoot next summer. And then we’d have to shoot our new Wolverine movie either before or after that. I think after because it will come out after. PARKER: And as much as you have an ambition for these things, it is, as you said about Hugh, getting a script that everybody feels is ready and right. Because that is the foundation on which everything is built. So I think the goal will be Apocalypse for 2016, which means at the latest [filming begins] in summer 2015, and then the same thing with Wolverine, either before or after, but based on the script. For me, the fact that back-to-back filming is a goal, and that they would need that goal, is confirmation that Jackman is on board for Apocalypse, although we obviously don’t know the size of his role. I’m also a little surprised he’s coming back for Apocalypse, although I will note that I haven’t seen Days of Future Past yet, so perhaps the story naturally leads him to be in the next movie. I just assumed that the franchise would return to the First Class model. But as we can see from these interviews, sometimes assumptions inadvertently lead to answers.